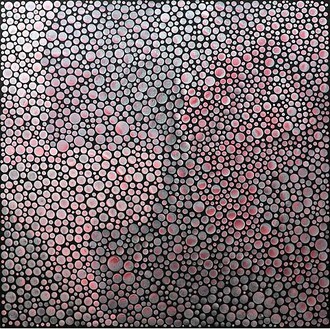 To celebrate Yayoi Kusama's eightieth year, Gagosian Gallery is presenting two major interrelated exhibitions of her recent work in New York and Los Angeles. 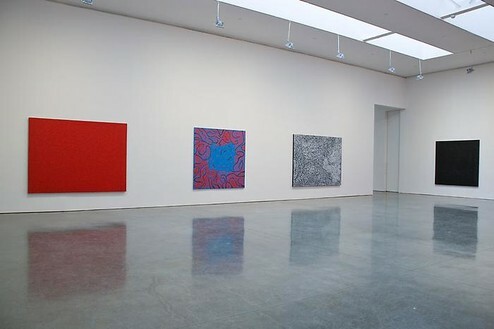 The exhibitions will overlap to provide a bi-coastal overview of the renowned doyenne of the international art world. 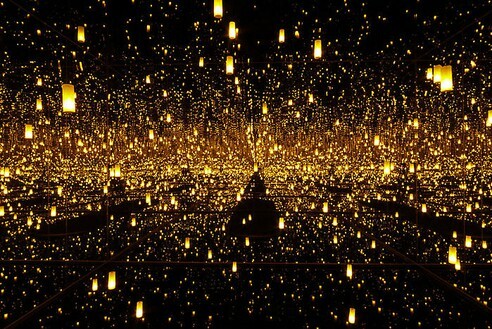 For this two-part exhibition, which has been several years in the making, Kusama has conceived some astonishing new works, such as Aftermath of Obliteration of Eternity (2009), a mesmerizing "infinity room" that operates on a system of simple yet ingenious optical devices. 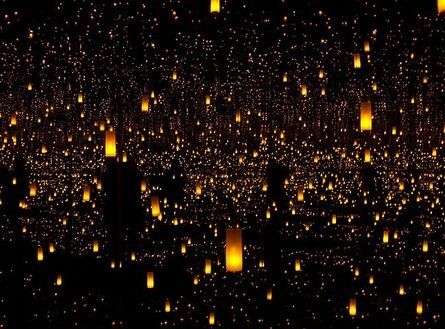 In a dark void, a delicate, shimmering mirage unfolds around the viewer, a myriad of gleaming lights that reproduce and reflect endlessly upon each other in golden silence. 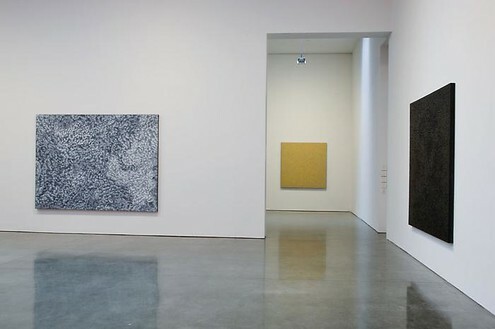 Titles of recent figurative paintings, in which worms, eyes, and other more indeterminate biomorphic forms abound, reflect a preoccupation with mortality, as well as with enlightenment, solitude, nothingness, and the mysteries of the physical and metaphysical universe. 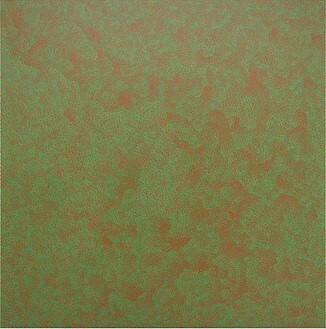 And, among all these spirited emanations, the sublime Infinity Net paintings—from austere achromes to vibrant psychedelic contrasts—continue to depict the undepictable in a steady, insistent pulse. 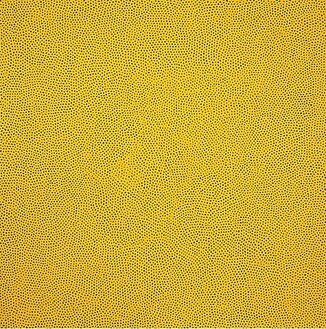 Kusama produced her first huge paintings as a young, struggling artist in New York in the late fifties, who often skipped meals and sleep in her incessant drive to cover the vast canvases with uneven tracts of small, thickly painted loops. 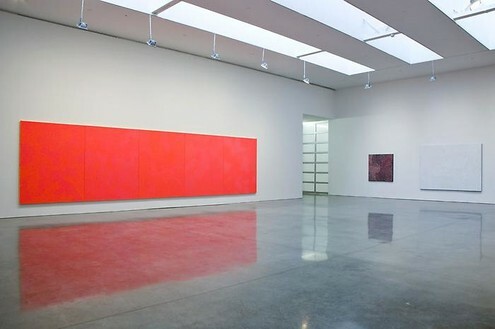 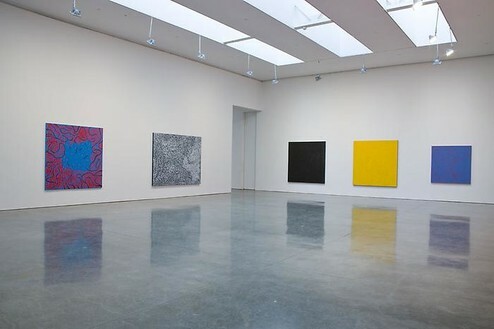 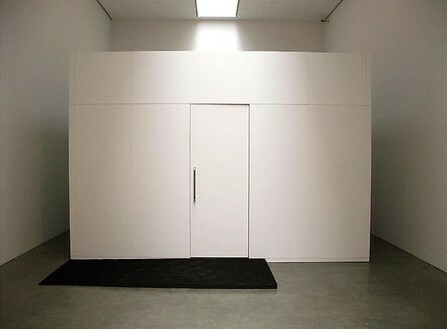 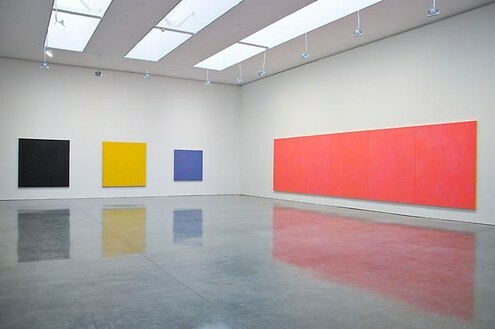 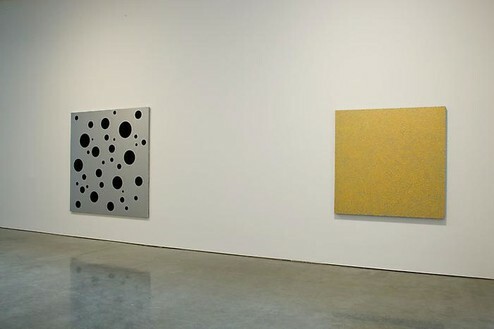 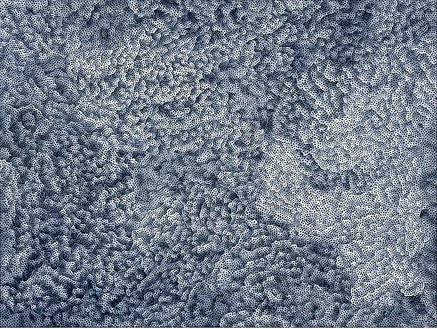 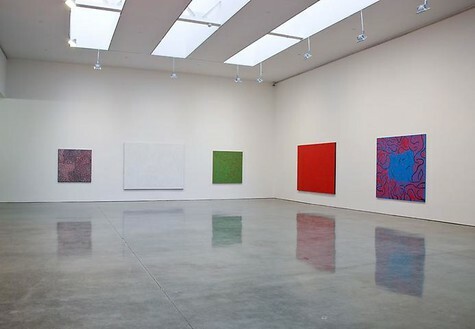 The inherent philosophical paradox of these works—that "infinity" could be quantified within the arbitrary framework of a readymade canvas—combined with the more subjective and obsessional implications of their process, distinguished them from the Minimalist abstraction that would dominate the local scene several years later. 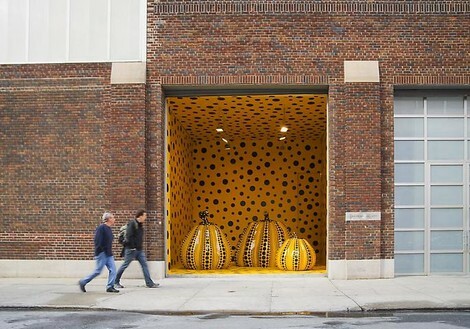 Kusama's own insistent psychosomatic associations further reinforced their transcendent space and quality. 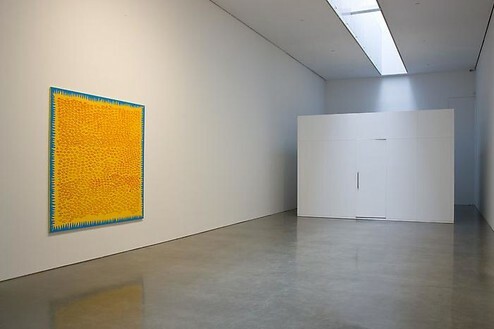 Today she composes the Infinity Net paintings as isotropic fields filled with fairly evenly painted elements. 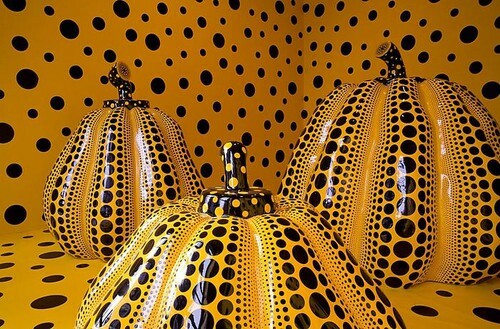 Following the success of the Japanese pavilion at the Venice Biennale in 1993 — a dazzling mirrored room filled with small pumpkin sculptures in which she resided in color-coordinated magician's attire — Kusama went on to produce a huge, yellow pumpkin sculpture covered with an optical pattern of black spots. 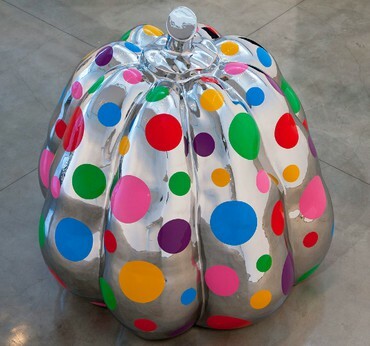 The pumpkin came to represent for her a kind of alter-ego or self-portrait. 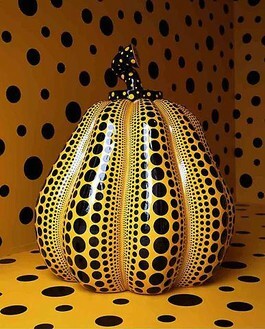 Recent pumpkin sculptures will be shown in New York for the first time, in a specifically designed, optical environment. 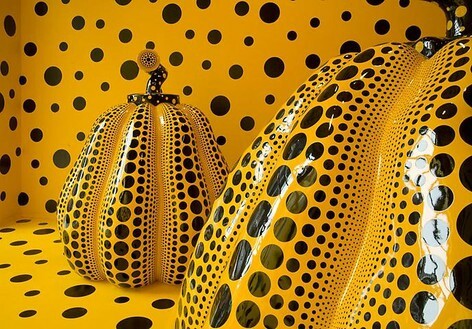 To date, Kusama has completed several major outdoor sculptural commissions, mostly in the form of brightly hued monstrous plants and flowers, for public and private institutions including the Fukuoka Municipal Museum of Art and Matsumoto City Museum of Art in Japan; Eurolille in Lille, France; and most recently, the Beverly Hills City Council in Los Angeles. 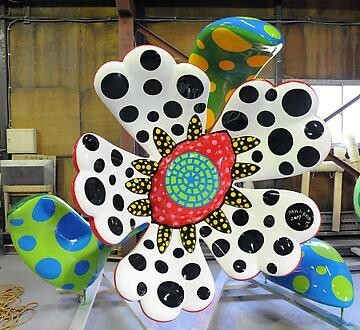 For her first major exhibition at Gagosian Gallery in Los Angeles (see dates above) Kusama has created Flowers That Bloom at Midnight (2009), a spectacular ensemble of huge and colorful cast sculptures in the form of triffid-like flowers, measuring from four to sixteen feet in height and individually hand painted to jazzy perfection. 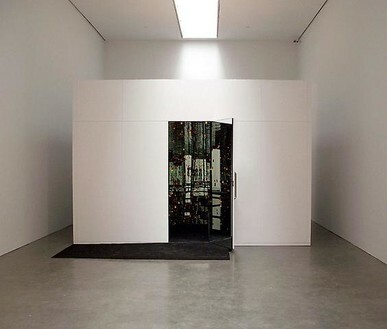 Arranged in the gallery like an artificial "garden", they tower and sprawl around an empty center, offering the viewer multiple ideal vantages while reaching outward into the surrounding space in all directions. 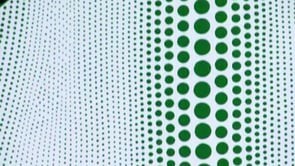 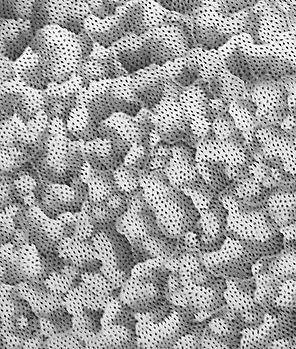 The exhibitions will be accompanied by a fully illustrated catalogue with essays by Louise Neri, Robert Nickas, a New York-based critic and curator, and Midori Yamamura, a Fellow at CUNY Graduate Center who is completing her PhD on Kusama. 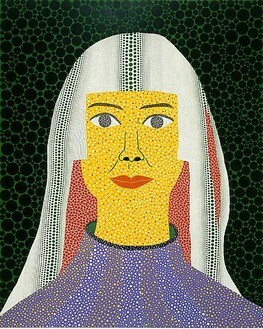 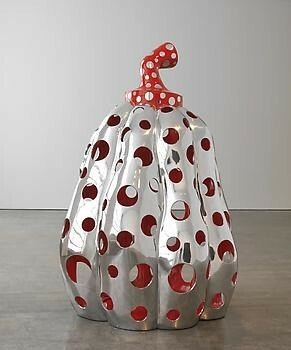 Yayoi Kusama was born in Matsumoto City, Japan in 1929. 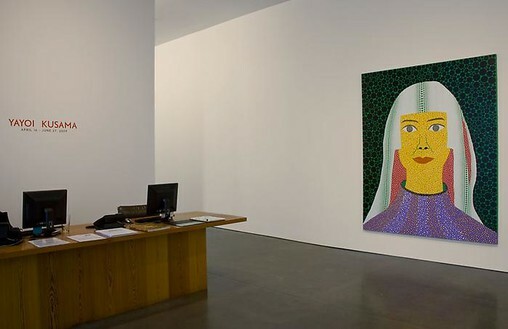 Her work is in the collections of leading museums throughout the world including the Museum of Modern Art, New York; LACMA, Los Angeles; Walker Art Center, Minneapolis; Tate Modern, London; Stedelijk Museum, Amsterdam; Centre Pompidou, Paris; and the National Museum of Modern Art, Tokyo. 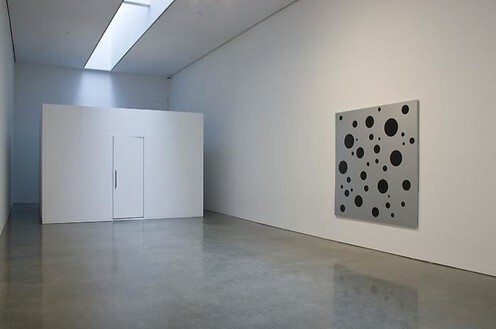 Major exhibitions of her work include Kitakyushu Municipal Museum of Art, Fukuoka, Japan (1987); Center for International Contemporary Arts, New York (1989); "Love Forever: Yayoi Kusama,1958-1969", LACMA, 1998 (traveling to Museum of Modern Art, New York, Walker Art Center, Minneapolis and Museum of Contemporary Art, Tokyo), 1998-99; Le Consortium, Dijon, 2000 (traveling to selected venues in Europe and Korea), 2001-2003; "KUSAMATRIX", Mori Museum of Art, Tokyo, 2004 (traveling to Art Park Museum of Contemporary Art, Sapporo Art Park, Hokkaido); "Eternity—Modernity", National Museum of Modern Art, Tokyo (touring Japan), 2004-2005; and "The Mirrored Years", Museum Boijmans Van Beuningen, 2008, currently on view at the Museum of Contemporary Art, Sydney and traveling to the City Gallery, Wellington, New Zealand later in 2009. 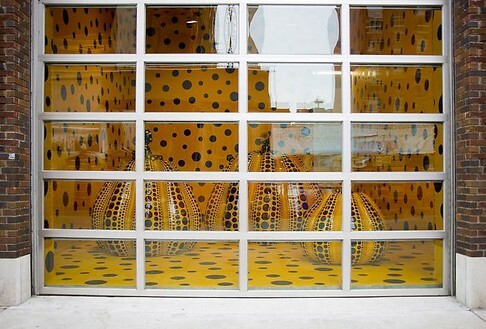 Kusama lives and works in Tokyo, Japan.